Happy Monday (already)! The weekend sure went by fast. I'm up and thinking about what to sew on today... 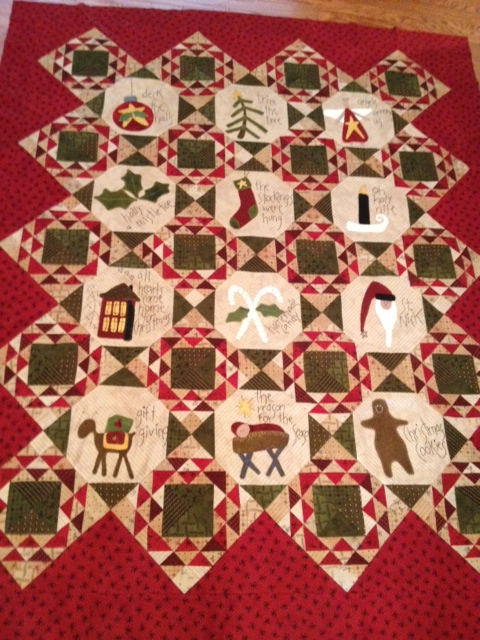 I finished my Christmas Quilt (so excited!) and it's at the quilter's ... ready for their magic! How do you like it...here it is! 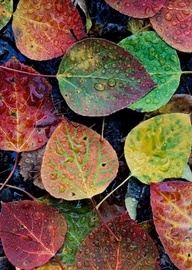 I told you before how much I loved Fall...well...here are some reasons why! 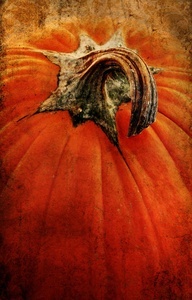 Did you know you could paint pumpkins if you can't find the color you want? YES YOU CAN! 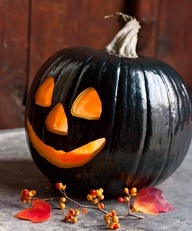 I remember loving the black pumpkins that we used to get in... They are so hard to find...well...simply make your own! 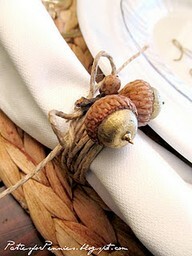 This was on Pinteret...sweet acorn napkin rings. 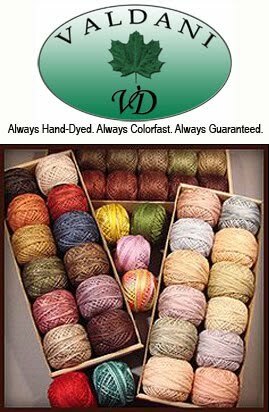 She took jute twine and wrapped around and around the napkin. Took a gold paint pen and made the nut part - Gold...then glued them to the napkin ring. They are a one time deal... but so inexpensive and sweet! Ha... 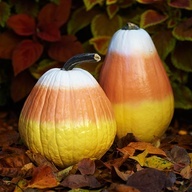 I love these pumpkins...they've painted them to look like giant candy corn! I LOVE CANDY CORN... don't you? That reminds me... I pinned a recipe for candy corn and popcorn mixed together with some other ingredients... for fall festivals. I need to find it and post it for you. It looked very yummy!!! 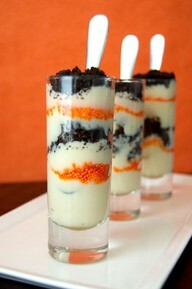 Now...how much easier could this get... it's vanilla pudding, orange sprinkles and crushed Oreo cookies!!! 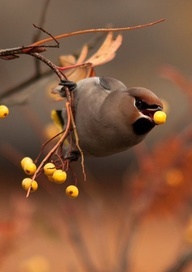 I personally think it looks pretty darn scrumptious and could choke one down in a minute! 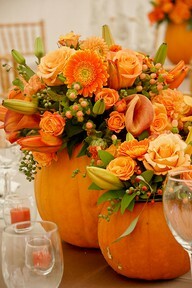 Then...this is so pretty... a beautiful flower arrangement...set in a pumpkin! Now.. if you are like me and have no clue how to make something like this (the arrangement) simply go to your local florist...give them the cleaned out pumpkin (or buy a plastic one...that looks real) and show them this picture. They will have no problem at all making it for you. If you want it less expensive - ask for the flowers that are 'in season' or if they can dip the tips of white carnations in orange. Carnations are cheap and will be easier on your pockebook! Then....we simply must have carrot cake with cream cheese icing - it's just the "law" that we eat this during the fall season!! 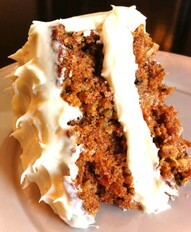 I LOVE CARROT CAKE!!!! 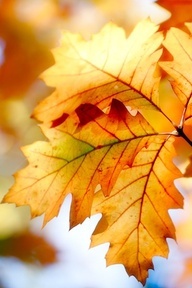 Aren't you NOW ready for cool weather? I sure am.... Dig out those sweaters and sweatshirts...I'm hoping it's just around the corner. Many of my friends live up north and they keep emailing and posting on Facebook how cool it is... I'm so jealous!! Have a happy Monday.... I'm going to look for my candy corn/popcorn recipe for you .... YUM!